In autumn, our swimmers have the chance to swim against their peers to compete for coveted medals and cups galore! The Club Championships is held over three Sundays. 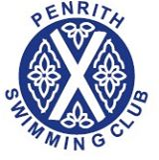 Swimmers aged five upwards take part in races across varying strokes and distances, with points being awarded towards trophies in different age groups. Heats are drawn up based on age and gender with family and friends able to watch and cheer on the swimmers. Following the Club Championships the points are totalled to enable the trophies to be awarded at the presentation night. For the upcoming Club Championships and presentation evening dates please see the 'Competition Calendar' section. Please ensure you enter the correct races. You need to first look whether it is girls or boys races, then check the age requirements of the event, then the stroke. 9 or over on 31st December 2018 – please look for 9+. The results will be split by age (9yrs, 10yrs, 11-12, 13-14, 15+) Make sure they can swim the distance! !